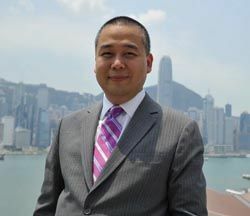 HONG KONG--Hong Kong-based global LED screen manufacturer and supplier, Lighthouse Technologies Ltd., has appointed Peter Chan as its new general manager. Peter takes over the responsibilities from previous managing director, Mark Chan. Chan joined Lighthouse in February 2006 from Schema Asia Pacific, a global provider of optimization and planning solutions for wireless networks, where he was regional manager responsible for developing the company's APAC markets. Since joining Lighthouse, he has employed his considerable sales and business development expertise to great effect, overseeing the company's global operations. Chan also gained extensive corporate experience with spells at Unifi Communications, Logica Asia Pacific and Sunday. His experience and understanding of both regional and international development and marketing strategies make him an invaluable asset for Lighthouse, which is reflected in his promotion to the new position. "I am thrilled to have been given the opportunity to lead Lighthouse through the next phase of the company's development," says Chan. "Mark did a tremendous job in creating values for Lighthouse.